Burst pipes, leaks, and bathroom remodels: These are all situations that clearly require the help of a professional plumber. But you may be surprised to learn that there are other not-so-obvious mishaps that only a plumber can fix. The professionals at Pride Plumbing of Rochester provide a wide variety of expert plumbing services, including clearing clogged drains, installing sump pumps, and more. They know that there many mistakes that require the help of a skilled plumber to fix. Weight On Fixtures: Many people place shampoo caddies on their shower heads, but putting too much weight on the shower head can break it. The same goes for leaning on bathtub faucets and handles or using them as footrests. Misusing The Garbage Disposal: Putting certain types of food waste down the disposal can break it. Pumpkin guts, watermelon rinds, and potato peels are just a few examples of food scraps that should stay out of the garbage disposal. Prematurely Using Water Heaters: Homeowners are often too eager to start using their new electric water heaters. A water heater must be completely filled with water and the water must be run to remove any air bubbles first. Turning on the water heater before this task is done will burn up and damage the heater. Cranking Faucet Handles: Tightening a handle really hard when there’s a drip may seem like a good idea, but it won’t stop the leak. Cranking it too hard will only break the handle. Dismantling Plumbing: Turning a clogged drain or a leaky faucet into a fix-it-yourself project is a bad idea. Plumbing that’s taken apart by a non-professional can result in damaged pipes or incorrect reassembly. 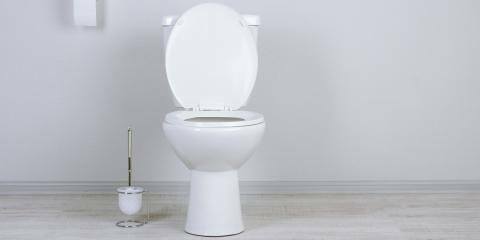 Flushing Non-Flushable Items: Small toys, bathroom wipes, cotton balls, and disposable diapers are just a few of the things that can cause backups when they're flushed down your toilet. The only things that should be flushed are bodily waste and toilet paper. Dumping The Wrong Materials In Drains: Paint, grease, and oils should never go into the drain. They can solidify and trap solids that will result in clogging. Avoiding these mistakes will help keep your plumbing system running like it should, but there will still be times when a plumber is necessary. When you need superior-quality plumbing services, call Pride Plumbing of Rochester at (585) 272-7272 or visit their website for more information.